When the sun is out and shining, it’s important to protect your eyes from harmful UV rays. But who says you can’t protect your peepers in style? Our main goal is to provide fashionable frames at affordable prices. 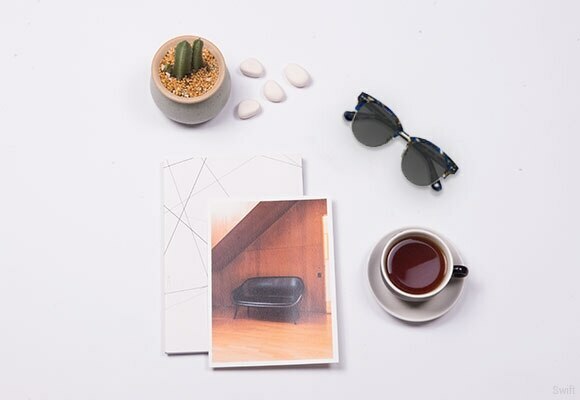 Whether you’re in the market for some new stylish sunglasses or you need a prescription pair, our selection of frames will please even the pickiest shopper. But what really sets us apart is our extensive range of sunglass frame color options. Depending on the shade of blue, these could be a great pair of shades to rock with a casual outfit and make a style statement. If you choose a darker shade, they could be a welcome addition and an unconventional color to your business lunch look. This color is perfect for sun-soaking on the beach and driving with the top down. Add a pop of color to any wardrobe by adding yellow sunglasses to your collection. Go against the grain and add green sunglasses to the mix. Depending on the hue, this color can add a touch of sophistication or creative genius to your wardrobe. Black sunglasses are the go-to choice for any sunglass enthusiast. This color will never go out of style and will always add a touch of rock, yet keep you looking sleek all day long. A great neutral choice, brown sunglasses can work with just about any style and skin tone. Particularly common for retro and classic styles, brown hues are a good choice for professional settings. Technically a neutral color, white sunglasses do everything but blend in. This is a great color to rock during summer months or add some contrast to the darker tones that you will wear during autumn or winter. Nothing is more classic and edgy as the tortoise sunglass frame. Depending on your outfit, you can add a classic element to a casual outfit or add edge to your hipster look. Looking for a playful, but elegant look? Our collection of Floral sunglasses are the perfect answer for any sunny day. Don’t miss out on these blooming frames. Striped sunglasses bring a more classy and mature element to the world of sunwear. Take a peek at our collection of deep dual-toned frames and find your perfect pair today. Beat the heat with these chill and down-to-earth frames. Our collection of Gray sunglasses are guaranteed to keep you looking cool with their mellowed out tones and sleek shapes. When in doubt, think Pink! Check out this collection of elegant Pale Pink hues and passionate Rose tones. From sensual to soulful, explore your mysterious side with our stylish collection of unique Purple sunglasses. Silver metal shades represent an era of sunwear that will never fade. This collection of timeless frames covers retro aviators, mixed-material sunglasses, and everything in between. Our collection of Red sunglasses can bring a hint of passion and life to any outfit. Don’t miss out on these fiery frames. 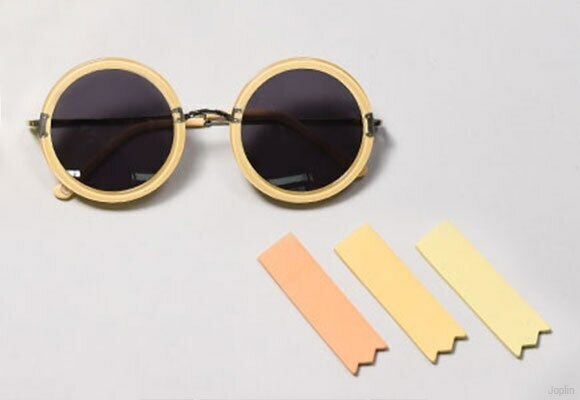 Embrace your retro side with this classic collection of Gold sunglasses. Don’t miss out on striking aviator shades, awesome mixed material styles, and more! Invokes some old-school charm with our collection of timeless Bronze sunglasses. Want to add a vintage touch to your everyday look? Look no further. Stay chill with these sleek Clear sunglasses. Our collection spans nearly every style and shape imaginable, all in transparent acetate.